The recent results from a clinical trial of insulin for the treatment of AD has garnered a great deal of media attention. Before discussing the research, it is worth reviewing insulin’s role in the brain. Insulin is critical for normal brain function, and abnormal insulin metabolism has been shown to contribute to the development of Alzheimer’s disease. Because patients with Alzheimer’s disease also exhibit decreased levels of insulin in the central nervous system, it has been hypothesized that raising these levels to normal might help maintain cognitive ability. 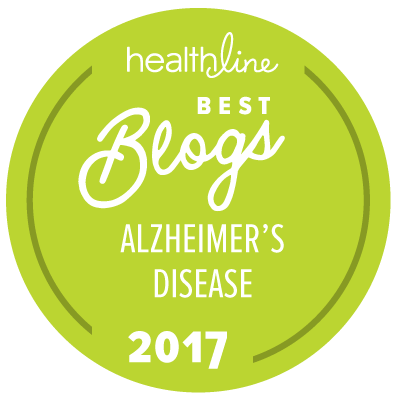 Studies involving animals have suggested that insulin deficiency in the brain may possibly be a key factor in the progression of Alzheimer’s. The trial, published online in the Archives of Neurology, is in fact, a randomized, double blind placebo controlled Phase II clinical trial which included 104 people. In the study, researchers at the University of Washington divided the subjects into three groups. One group received placebo, one received 20 international units of aerosolized insulin a day, and the third received 40 international units a day. The average age of the participants was 72, and more than half were men. Sixty-four of them had amnestic mild cognitive impairment, and forty had mild to moderate Alzheimer’s disease. Amnestic MCI is thought to represent the pre-dementia phase of Alzheimer’s disease. Importantly, no serious treatment-related adverse events occurred during the study.For four months, 36 participants received 20 International Units (IUs) of insulin a day, 38 received 40 IUs a day, and 30 received a daily placebo, all delivered via nasal spray. The researchers looked at the effect of the treatment on cognition, daily function, and for some participants, they measured biomarkers of cerebral glucose metabolism and cerebrospinal fluid. The primary measures were delayed story recall (how well participants recalled a story told to them immediately after and a short time later), and Dementia Severity Rating Scale (DSRS) scores of the participants (a multiple choice questionnaire that is filled in by caregivers). For the primary measures, the results showed that compared to the placebo group: The participants who took 20 IUs of insulin a day showed improved delayed story recall, which was statistically significant. However, there was no improvement for the participants who took 40 IUs of insulin a day. The DSRS caregiver-rated functional ability was maintained for the insulin groups, while those on placebo worsened. Although there appeared to be no change in cerebrospinal fluid biomarkers for insulin-treated participants as a group, exploratory analyses showed changes in memory and function were linked to changes in the beta-amyloid level, and in the tau protein to beta-amyloid ratio in cerebrospinal fluid. A third group also had scans to assess their brains’ use of glucose. One hallmark of Alzheimer’s disease is reduced metabolism in the brain, which shows up on scans as less use of glucose, the fuel for brain cells. In this assessment, those getting insulin used more glucose in their brains while those receiving placebo used less. Although the trial achieved statistical significance for its primary outcome measures, the observed effects were small in absolute terms, and thus their clinical significance is unclear. The trial was a small, single-site pilot study, which presents special challenges in the interpretation of results; clearly, a longer, larger, multisite trial is needed to confirm and extend the findings. Intranasal Insulin Therapy for Alzheimer Disease and Amnestic Mild Cognitive Impairment: A Pilot Clinical Trial. Craft S, Baker LD, Montine TJ, Minoshima S, Watson GS, Claxton A, Arbuckle M, Callaghan M, Tsai E, Plymate SR, Green PS, Leverenz J, Cross D, Gerton B. Archives of Neurology. 2011 Sep 12. I was led to believe that 3rd stage trials at several sites will start this summer. that might be late for your friend. Have you heard of any off label use? When I first heard about this study I thought it was promising, and I truly hope that larger, more long term studies will yield more definitive results regarding the correlation. In any event, I'm a firm believer that the rise in type 2 diabetes and the overall obesity epidemic in the USA is a direct result of Americans over consumption of starchy carbohydrates. There is also now evidence of a possible link between complex carbs and recurrence of breast cancer. If poor diet choices are also behind the premature onset of Alzheimer's disease, then a re-evaluation of the standard diet should be in order. I think they will be doing up to phase 3 for such clinical trial since it will be an ongoing research study. It been years of study and there have been thousands of clinical trials conducted for Alzheimer, who knows sooner or later they will find a cure for it.